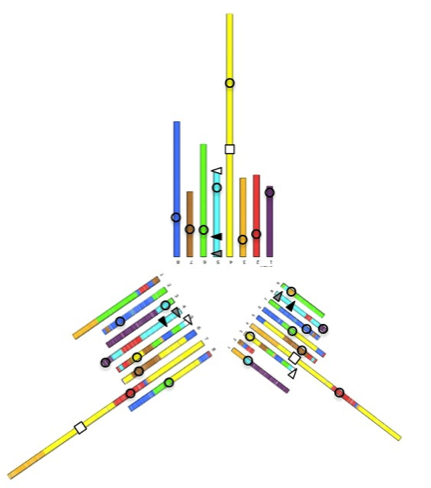 We achieved the complete reconstruction of genome history in a model yeast genus, providing a granular view of genome evolution linking gene content, chromosome rearrangements and protein divergence into a single evolutionary framework. N Vakirlis, Sarilar V, G Drillon, A Fleiss, N Agier, J-P Meyniel, L Blanpain, A Carbone, H Devillers, K Dubois, A Gillet-Markowska, S Graziani, Nguyen H-V, M Poirel, C Reisser, J Schott, J Schacherer, I Lafontaine, B Llorente, C Neuvéglise and Fischer G. Reconstruction of ancestral chromosome architecture and gene repertoire reveals principles of genome evolution in a model yeast genus. Genome Research (2016). A.E. Fortunato, M. Jaubert, J.P. Bouly, M. Thaler and A. Falciatore from the Diatom Functional Genomics team in collaboration with J.S. 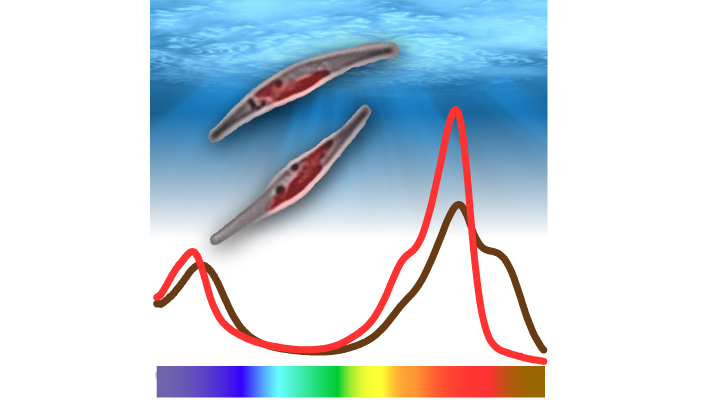 Bernardes (Statistical Genomics and Biological Physics), A. Carbone (Analytical Genomics) and other international collaborators published on The Plant Cell the paper “Diatom Phytochromes Reveal the Existence of Far-Red-Light-Based Sensing in the Ocean.” Full text paper. Plant Cell Editor’s comment on this work. E.Laine and A.Carbone just published a new large-scale method to predict protein-protein interfaces based on sequence and structure information - Joint Evolutionary Trees 2 (JET2). 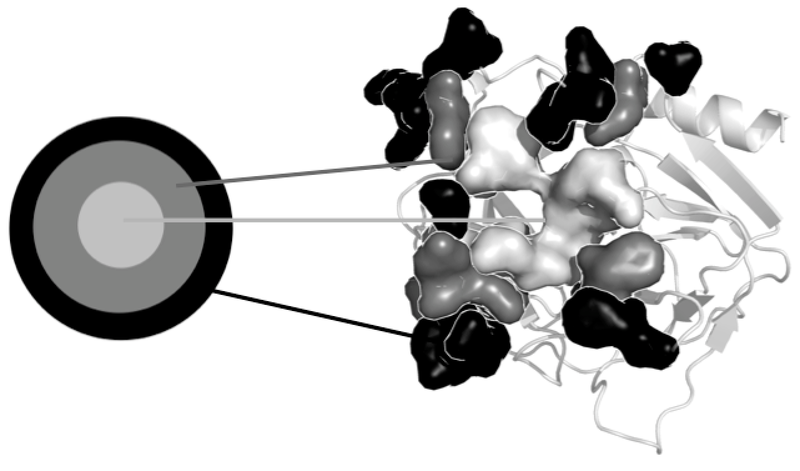 It is the first time that a method highlights, with such a precision, information on distinguished binding sites, possibly overlapping each other. To the Article and Software. Interview of the German National Radio to A.Carbone, where she gives some highlights on protein-protein interactions. Corpus Christi College, Cambridge, UK. 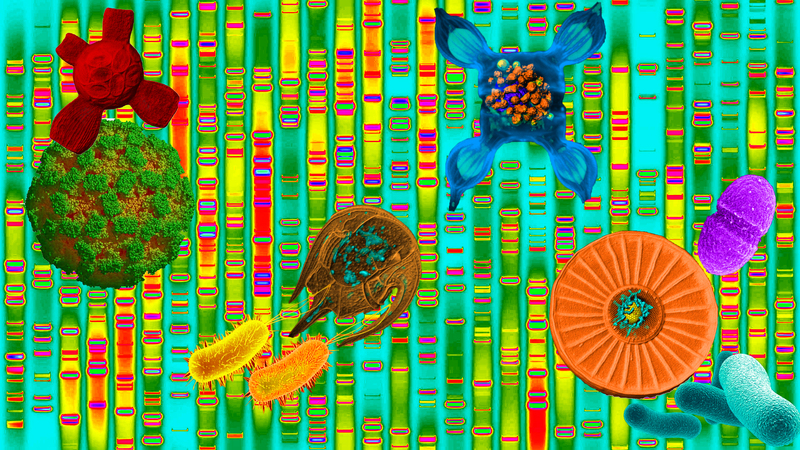 The 5th Cross Disciplinary Genomics meeting "Genomics of Microbial Communities" will be held at UPMC. M.Punta, S.Longhi (University of Marseille) and A.Carbone organise the workshop "A DAY IN THE LIFE OF INTRINSICALLY DISORDERED PROTEINS: FROM COMPUTATION TO EXPERIMENTS" at the Ecole Nationale Supérieure de Chimie de Paris, Amphithéâtre Moissan. No fee is required but registration is mandatory. 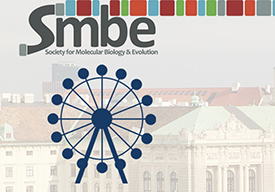 The symposium The evolution of alternative splicing is co-organized within the framework of the 2015 meeting of the Society for Molecular Biology and Evolution by E. Laine (LCQB), H. Richard (LCQB), and J. Roux (UNIL). The event will take place in Vienna, Austria. Registration is now open. Abstract submission for oral presentation closes on February 8th. Angela Falciatore co-organizes the International Conference "The molecular life of Diatoms 2015", 7-10 July 2015, Seattle, USA.